Eucharist ceremonies for three days from Thursday. 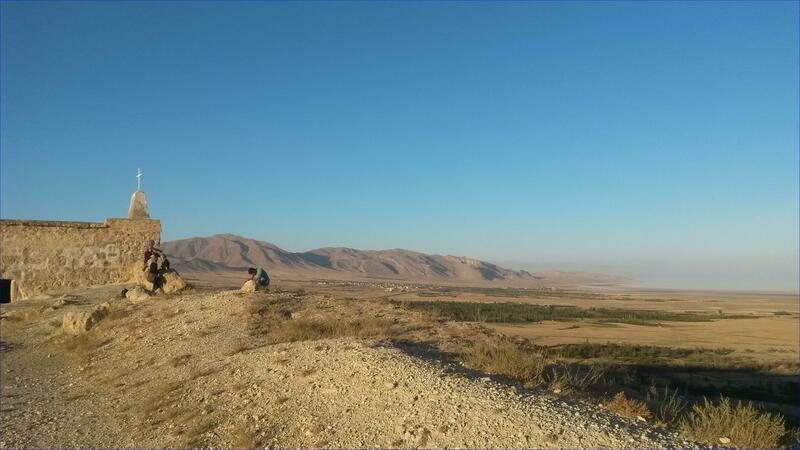 Iran, about 20 kilometers from the town of Maku. Gospel. He is revered as an apostle of the Armenian Apostolic Church. present site in AD 68.
date from the 10th century. same province: Saint Stepanos Monastery and the chapel of Dzordzor. Located in northwestern Iran, on the border with Azerbaijan and Turkey, the monastery was built, according to tradition, in 68 AD after the martyrdom of the Apostle of Christ. Hundreds of Armenians from Iran and Armenia gather each July to baptise their children, as well as eat and sing together. 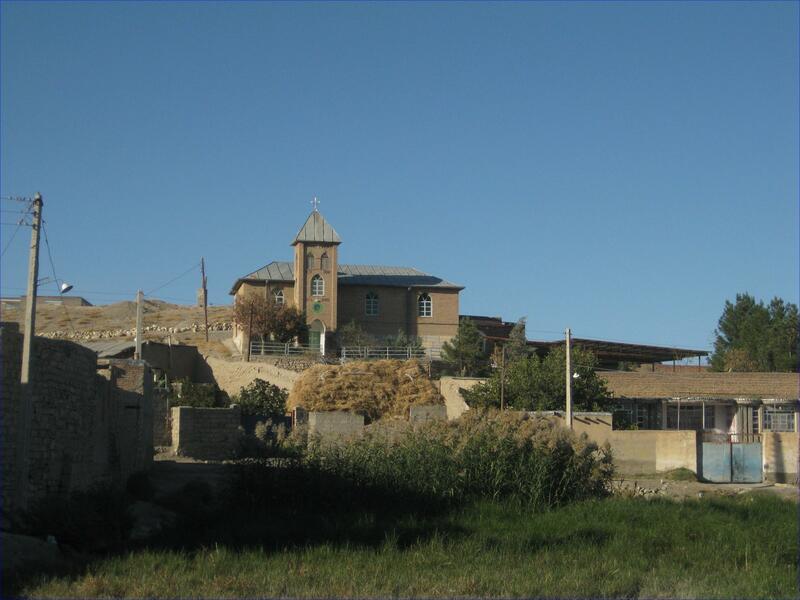 MAKU: Hundreds of Assyrians, Armenians and Catholics from Iran and other countries are expected to travel to the monastery of Saint Thaddeus (also called Qara Kelisa) to honour the saint’s memory and celebrate for a few days in late July. 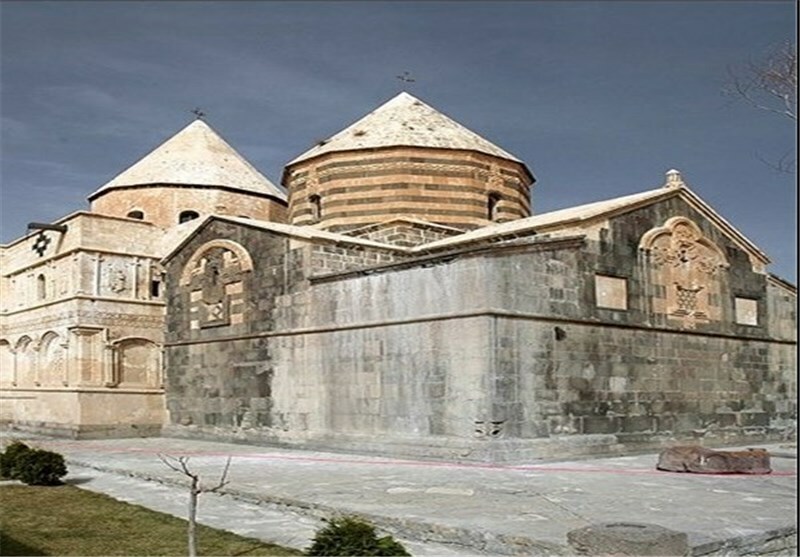 The place of worship is one of the oldest surviving Christian monuments and is located in Iran’s West Azerbaijan Province, some 20 kilometres form Maku, near the border with Azerbaijan and Turkey. 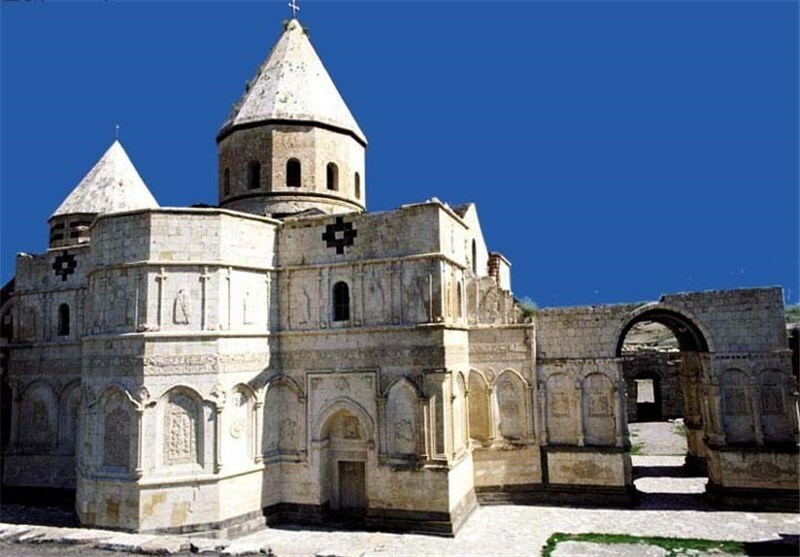 According to tradition, Qara Kelisa is the first church built in the world, by Saint Thaddeus the Apostle during his visit to Armenia and the Persian Empire (45 AD). The saint converted King Abgar V of Edessa, but in the 66 AD, his son, Ananum, sentenced him to death. Sandokht, daughter of the king converted to Christianity, was martyred along with Thaddeus. According to legend, the church was dedicated to the saint in 68 AD. Every year, in the second half of July, the local Church organises special events to commemorate the death of Saint Thaddeus and his fellow Christians. The festivity is especially important for Armenians living in Iran. For a whole week, people from cities such as Tabriz, Urmia, Tehran, Isfahan and Qazvin, converge on Qara Kelisa, in groups and families. The rituals include the baptism of children and youngsters, who can wait in some cases up to the age of 20 before receiving the chrism in the oldest church in the world with solemn promises. For many Armenians, the festival is also an opportunity to take a holiday and visit distant relatives. Near the church, feasts and banquets are held with traditional songs and dances. The church consists of two parts: a black structure (the original structure was black, and Qara means black in Turkish), and a white structure, the main church, which was added to the original building’s western wing in 1810. Not much appears to remain of the original church, which was extensively rebuilt in 1329 after an earthquake damaged the structure. Mar Yohannan, Assyrian, near Gawilan. ( Heleen Murre-van den Berg) Unknown to most visitors to Iran, unknown also to many Iranians, the country harbors a rich heritage of Christian sites. Except for a few notable exceptions, these churches and graveyards so far have attracted relatively little attention and most are not included in the standard tourist trajectories. 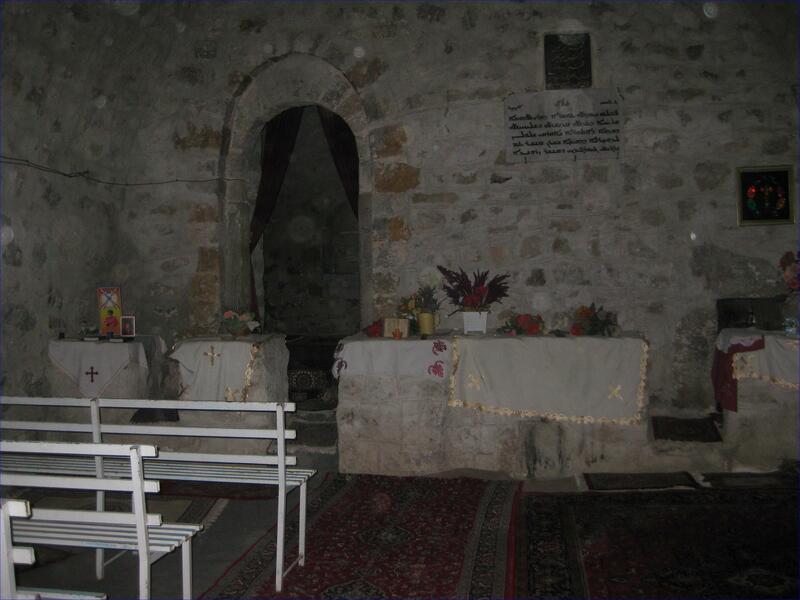 Assyrian and Armenian churches throughout the country witness to the varied and complex history of Christianity in Iran, but many of these churches are in bad repair, with little opportunities for the Christians who take care of them to find the necessary funds. 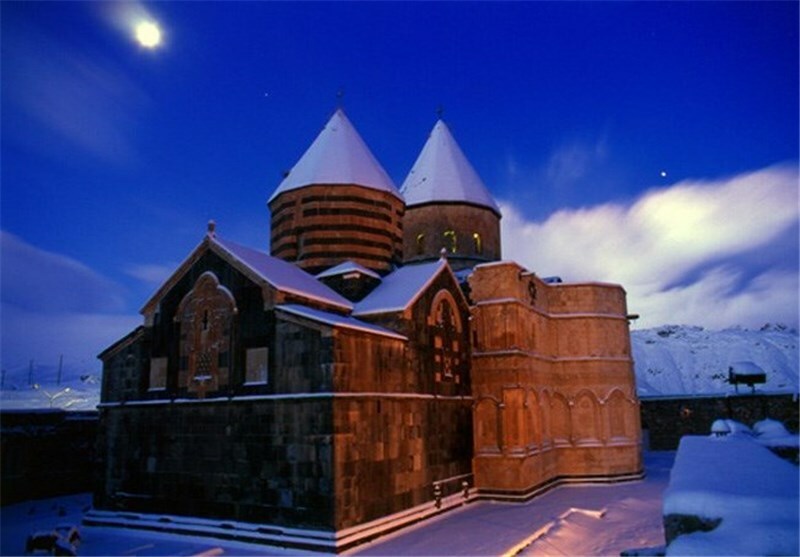 Among the exceptions are a few Armenian churches and monastic complexes in the northwest of the country, which in 2008 have been included in the UNESCO world heritage list: Kara Kilisi or St. Thaddeus near Chaldiran, Saint Stepanos near Julfa, and the Chapel of Dzordzor (or Mary Mother of God) on the Zangmar River. While there is more to wish for, these are generally in a good state, with the necessary repairs and more fundamental renovations going on. These churches mostly have their origin the Middle Ages, and constitute an impressive witness to Armenian religious culture throughout the centuries. 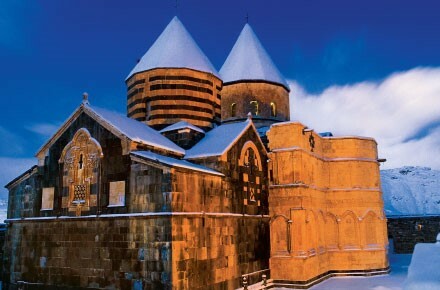 Until today, these churches are part of the Armenian religious landscape, with visitors coming not only to admire the beautiful sculptures and architectural harmonies of the complexes, but also to venerate the places as witnesses to the Armenian religious tradition and as wellsprings of religious blessing. Best known among the Armenian sites of course is the Vank Cathedral complex in New Julfa, Isfahan, that is open to all visitors as part of the Armenian museum complex. Its spectacular interior, with its wonderful mix of western and eastern styles, oil paintings and ceramics, was designed and executed mostly by local Armenian artists in the second half of the seventeenth century, being inspired by a wide range of local, regional and European esthetics. This complex, like those in the north, is fairly well endowed and in good repair. The majority of Armenian churches throughout the country, however, struggle to make ends meet. Over the last century and into the twenty-first, the traditional Christian communities gradually diminished through emigration, its tempo accelerating after the Islamic Revolution. Though Armenian communities are still present in most major Iranian cities, with vibrant centers in Tehran and Isfahan, especially the maintenance of historic churches is difficult, the more so because of strict regulations that make it near impossible for emigrants outside the country to contribute substantially. The Assyrian churches of Azerbaijan make a much more humble witnesses to a long history of Christian presence in the region. While there is a number of larger and more modern Chaldean and Assyrian churches in Tehran and Isfahan, mostly built in the 1950s and 1960s, the older Assyrian churches of the Urmia region testify to this church long history in Iran, even if the churches of the Iranian center (which we know of from written sources) have all disappeared. Though for most churches it is impossible to say when exactly they were built, it is likely that they go back at least to the twelfth and thirteenth centuries but may well be much older. Most of the churches do not have dedicatory inscriptions -- if they have, they usually refer to a renewal rather than establishment of the church. Over the centuries, the Assyrian Church of the East became restrained (up to the point of being aniconic at times) in using icons in church, and usually are modest and sober in their interiors. Today, they are no longer regularly used for worship, but with the help of local gatekeepers, mostly members of Kurdish families, sometimes of the last remaining Christians in a village, the churches are often visited and maintained as good as possible. Graveyards, sometimes also the gravestones in the church yards, constitute yet another moving testimony to the history of the Assyrian, Chaldean and Armenian churches in the region. TEHRAN (Tasnim) - The Monastery of Saint Thaddeus is a tourist destination in the far northwest corner of Iran, adjacent to the borders of Armenia, the Azerbaijan Republic and Turkey.